Tell us about Book Passage. We actually have three bookstores. One is in San Francisco, in the historic ferry building right where our main street meets the water. We have events there every week. It’s a very exciting store. And then we have a small store at the yacht harbor in Sausalito called Book Passage By-the-Bay, and that’s only been open about a year-and-a-half. We have events there, and classes in Italian, and all kinds of fun things. But our mother store is in Corte Madera, which is two towns north of Sausalito, and it’s about 12,000 feet of retail and classroom space. Between the three stores, we have over 900 author events a year. 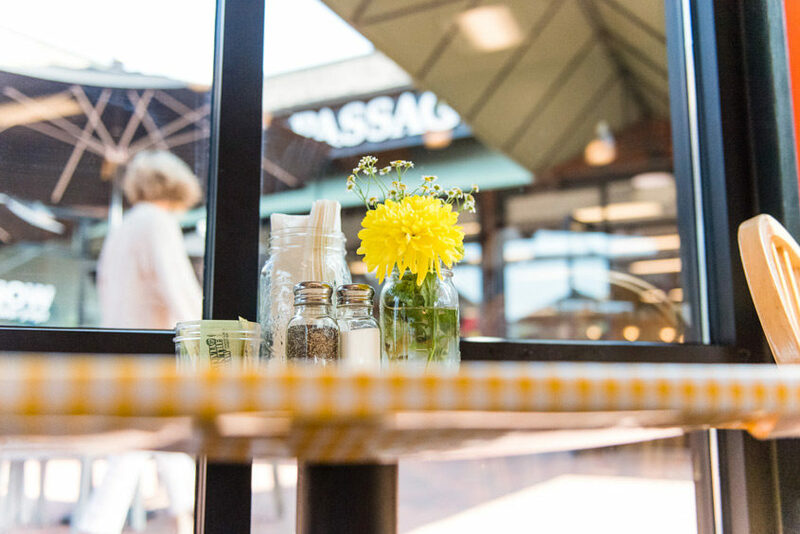 The Corte Madera store also has classes. For over 30 years, we’ve been holding classes in writing and language. We teach Spanish, French, Italian, and German. We have classes in writing for children and adults. That program started when we found out that the great Anne Lamott was working as a waitress because her then-publisher was slow to pay royalties. Annie agreed to teach a class in critiquing people’s ongoing writing, and we agreed to pay Annie based on the tuition the writers paid, and it was an extremely successful program. Now she teaches once a year, and people are already signing up for her class next May. 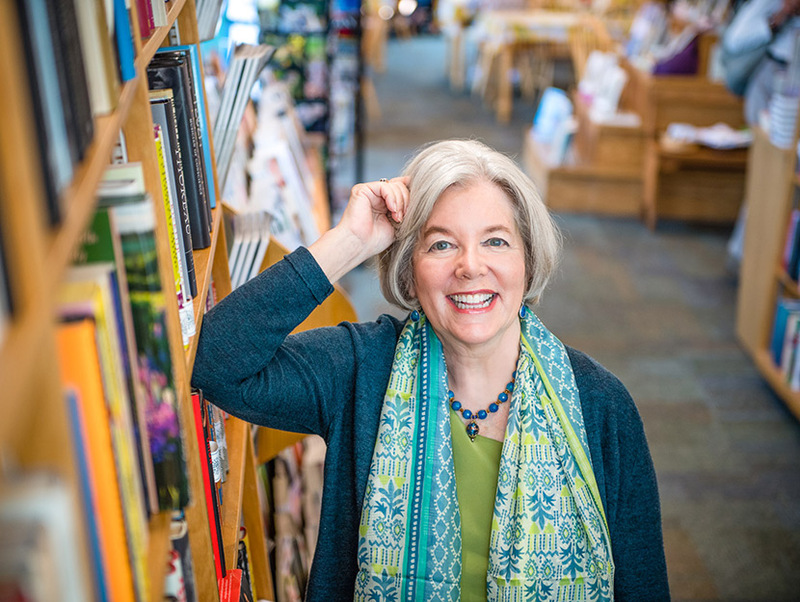 Her book Bird by Bird was inspired by the classes she taught at Book Passage, and those classes led to other classes on developing character, screenwriting, developing your plot, how to get published. They led to a salon that meets at the store called Left Coast Writers, where publishing professionals and famous authors come and talk. It then led to conferences, and now we have two major writing conferences each year. Our 27th annual Travel Writer’s Conference happened August 9th through 12th. We bring travel writers from all over the world. Pauline Frommer, the head of Frommer Guides, taught this year. Tim Cahill, who is an award-winning author and also a founder of Outside magazine, was one of the teachers. So these are truly top-notch people who teach travel writing and photography. Many of our current faculty were once students and now teach travel writing and photography. And then we’ll have our annual Mystery Writers Conference from September 27th through 30th. Isabel Allende, whose current book I absolutely love, In the Midst of Winter, will be interviewed at the conference, but she’ll also be interviewing my husband, Bill Petrocelli, who’s written a mystery called Through the Bookstore Window; she’ll be interviewing him on character development. There are other famous mystery writers who will be there: Kelli Stanley and Cara Black, who’s one of the co-chairs. Kara Black started as a student at our mystery conference many, many years ago; she actually came back more than once as a student. 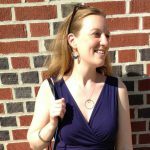 She found her editor at our conference, she developed her style at our conference, she learned that she had the beginnings of a series at our conference, and of course she’s now one of the most popular and acclaimed mystery writers in the country. So she’ll be there talking about how to write. And Lisa Unger, whose most recent book is Under My Skin, will be there. Jacqueline Winspear, the author of the Maisie Dobbs series, is one of the teachers. But beyond those great mystery writers, what I love most about the mystery conference is the people who are experts in murder. We have someone who’s a former head of a whole division of the FBI who’s now head of security for Disney, and he has all kinds of techniques for how murders are uncovered. We have a coroner who talks about how they figure out the murder based on the body. We have a prosecutor, a defense attorney, and judges, so you learn not only how to write but how to find out the facts you need in order to be a great mystery writer. So it’s very satisfying. Part of our mission as a bookseller is to sell great books and also to help people get their great books published. We even have a program called Path to Publishing, in which already established authors and editors nurture people who are starting their writing careers and help guide them so they know which way to go. Is it finding an agent? Is it finding a small press? There’s so many different ways to get published. Another program is the Signed First Editions Club, but this is different than everybody else’s. Our First Editions Club features authors who are not yet famous. Khaled Hosseini, author of The Kite Runner, was our second pick. Nobody had ever heard of him. 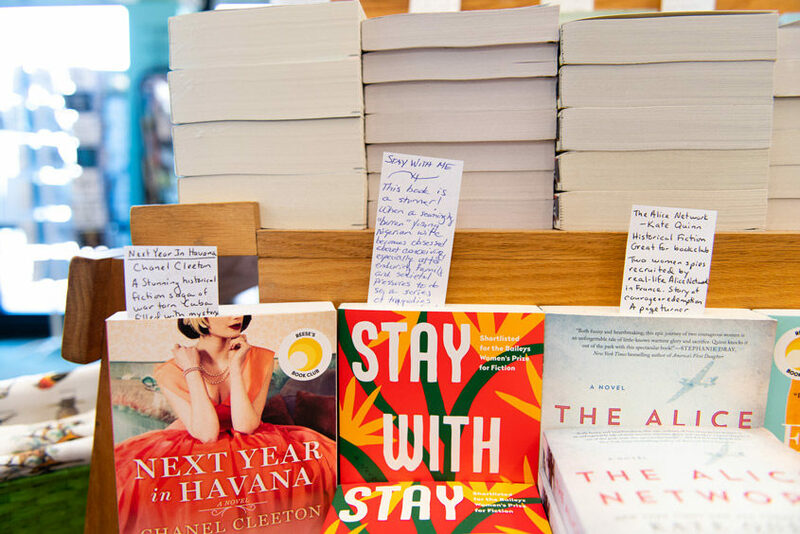 Not every book we pick becomes a huge award-winner, but a lot of them do, and some of them have won the Booker Prize, some of them have won the Pulitzer. So we tease people that they shouldn’t worry about the stock market, they should sign up for our First Editions Club because they can see all the ones we’ve picked over the years and see how valuable they’ve become. We also have literary lunches. We have a literary brunch with Isabel Allende for the paperback of In the Midst of Winter. For $30, you get brunch with Isabel and a copy of the book. We’re having a lunch with Kate Atkinson on October 1st for her great new novel, Transcription, about a young woman during World War II whose job is to monitor a bunch of German sympathizers. My main love is being on the floor of the bookstore, and I try every day to treat myself to an hour to just be out on the floor in one of our stores, just talking to customers about books and what’s going on in the world. Our customers are very interested in buying local. I mean, they really make that decision when they come to us, and they’re very, very loyal. In fact, our customers even organized a group of people to be supporters through the Book Passage Membership. This contributes to support our events program, which is so touching. We also do a tremendous amount with children. We have a great childrens’ events program, including author events and writing groups for children. It’s free; the kids can just come join. One child said to me, “We moved here, and I was dreading it because I was starting junior high school. I didn’t know anybody, and I love books, and I wasn’t sure I would find friends. And I came here, and I found my friends.” So it’s very satisfying. I almost forgot to tell you about one of the clubs that’s very dear to my heart: the Aunt Lydia Book Club. Years ago, one of our best customers came to us and said she wanted us to send her Aunt Lydia a new book every month, and she described what Aunt Lydia liked. So, we started sending Lydia a book each month, all beautifully gift-wrapped with a note from her niece. Aunt Lydia told all her friends about it, and they decided their families should do that for them! Now we have hundreds of people all over the world who get books delivered to them every month or every other month or so based on what they like. We have one person who runs the club. She says she has the best job in the store because her job is to shop for each of her Lydias, and she knows exactly what will be the right book. A lot of the kids in the club write to her and tell her what they think of the books she chooses. It’s the most beautiful program. Wow. So you have all of these programs now, and you must have a lot of people helping you. Why did you originally decide to open a bookstore, and what was it like when you first got into it? I was in education and had very satisfying work, but my passion was always books, from the time I was a little child. 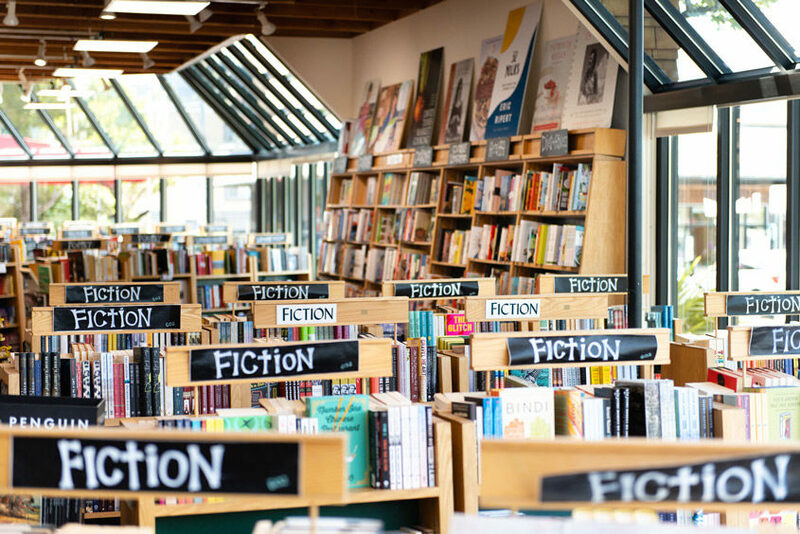 I lived in Indiana, and I used to—without telling my parents—take the train to Chicago to hang out in the bookstores there. They thought I was downtown shopping with the other teenage girls. So I think I had an obsession! Librarians were fabulous to me. We didn’t have a bookstore in Indianapolis when I was growing up, but librarians put books in my hands and let me read books that weren’t in the children’s section. 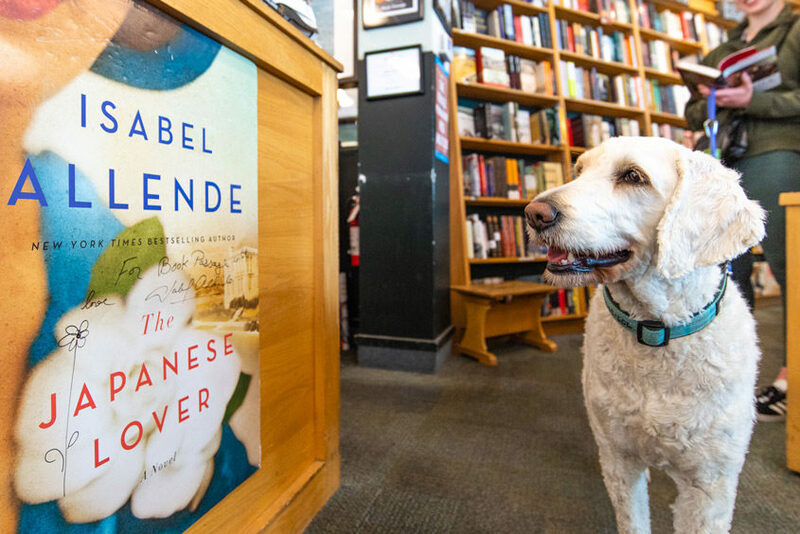 I was talking about it with my book club one day and saying that I’ve always wanted to own a bookstore, and they said, “Well, why don’t you?” I’ve been in the same book club for 48 years, so they feel perfectly free to tell me what to do. And they said, “Come back next month with a list of everything you would need in order to do that.” So I bought a book on how to open a bookstore, and my husband, who gave up the practice of law to be my partner, got out a yellow pad, and we wrote down everything it would take. And we opened a tiny little bookstore with probably 10,000 titles in 1976. Very quickly, someone came to me and said she had a friend who had written a book, and would I have a little reception for her friend? And I said, I guess so. I met her friend and told her I’d never done this before, and I asked if she had any friends who would come. And she said, “Oh, well, we just moved here. But my husband knows some people at work.” And we had the event, and it turned out that what she hadn’t told me was her husband was president of Lucasfilm at the time, so the entire Lucas group came. And at that moment, I was hooked on presenting authors. I mean, there was no way I was going to give that up. Back in 1976, people didn’t ask the author to speak; they would have a signing where people would go through a line. But we realized that our customers really love to hear what the author has to say and have the opportunity to ask questions, and that’s I think what led us to a lot of success. We had a thing happen where we would have cookbook authors. Lots of people would come, and they would take really good notes and even write down recipes from the book, but not buy the book. And that bothered me a lot! I’m about buying the book. So we cooked up a program called Cooks with Books, and in that program, we go to an outstanding restaurant, and the chef uses that cookbook to make a gorgeous meal. The people will pay a flat fee. We have one coming up with Dorie Greenspan for her book Everyday Dorie: The Way I Cook at a fabulous restaurant called Left Bank. It’ll be $120 to include a gorgeous cookbook and a wonderful meal with the author. Some people fly out to be there. Watching an author’s career bloom is very exciting, but the customers are really the delight. And to watch the booksellers at the Passage. Everyone who works at Book Passage could have a job in Silicon Valley that would pay 10 times what I could pay. But these booksellers have chosen to do this because they love it. Our events director, for one, is the most brilliant woman I’ve ever worked with. She could go anywhere and run any corporation, but she’s chosen us for her career, and I find that the most satisfying thing. What are some of your favorite books lately? I love Sally Field’s memoir that’s coming out in September called In Pieces. I didn’t have any expectation when I opened it up. She’s a truly great actor, there’s no question about that, but I had no idea what a truly profound writer she is. And unlike some celebrities, she didn’t have a ghostwriter. She wrote her draft and then went on an agent’s website and wrote her cold. I am so excited to present this book because I think there’s so much depth to it. Another great book is called What the Eyes Don’t See by Mona Hanna-Attisha. She’s the pediatrician who realized her patients were being poisoned by the water in Flint, Michigan. Her story of growing up here as part of an immigrant family and becoming a doctor is absolutely gorgeous and inspiring. I would give it to any teenager because it’s so inspiring. But it’s also a detective story about how she figures out what’s happening in Flint and how she was smeared by the people who had done this to the water. There’s a part in it where she’s talking to a father who’s brought in his child, and it’s right after she’s come to the conclusion that the water is poisoning the children. He’s so proud because in the last appointment, she had encouraged the father to get this child off sodas and to give her water instead. And he was so proud that the child was drinking water all the time now. Can you imagine how that felt? Terrible, and she describes it so beautifully. It’s something that I think everyone should read. 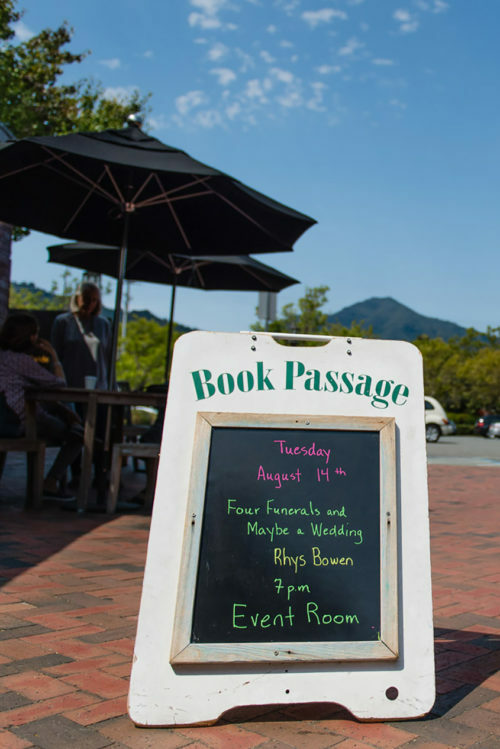 If you had to put it into a sentence or two, what would you say Book Passage’s bookselling philosophy is? I think it’s getting a wide variety of courageous books to as many people with as many interests as possible. And making it possible for people to buy books that they otherwise would never have found.